Add some color to your walls with this Chalkboard Calendar Wide vinyl decal. 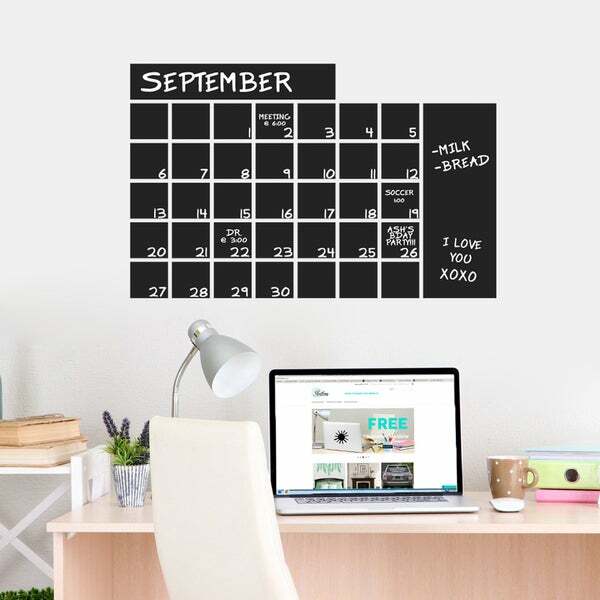 This chalkboard calendar wall decal will keep you organized! Place this decal in your office, kitchen, or even in your business! Keep track of your family schedule or your work schedule. You simply write in the month, dates, and even notes below! In 2007, Sweetums Signatures was born! Made and produced right here in Ohio, we are a small business tailoring to the Decor and service needs of our customers. From indoor wall decals to outdoor signage, we are built on core values of hard work, family and delivering on our promises to our customers. We believe that every home deserves a designer look without a designer price tag.